The Bradly barstool blends functionality and good looks in a single package that’s at home in any eat-in kitchen or bar. With its solid wood construction, it offers a level of quality that’s increasingly rare these days. Count on a set to provide long-term durability and performance, as well as timeless style. The Brady stool is available in 24-inch and 30-inch high versions for use with either a standard kitchen counter or raised bar. Base measurements are 16 2/3 inches wide by 11 ¾ inches deep, while the seat measures 17 inches wide by 12 inches deep. Five wood options are available: standard oak, quartersawn oak, cherry, rustic cherry and brown maple. 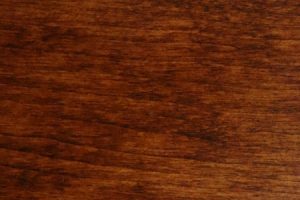 Any wood can be stained in your choice of color, or finished naturally to highlight its unique grain. Each piece is made to order and, as a result, will display minor variations that add to its appeal. In terms of quality, the Bradly barstool is in a different league entirely from cheaply made, mass-produced department store furniture. Our products are handmade by skilled Amish artisans, and built to last for years to come. Though Amish culture is not traditionally associated with excessive drinking, their values of community and shared experiences are present in this handsome stool. A set of Bradly stools encourages people to linger together in the kitchen or around the bar, and provides an attractive accent to both traditional and contemporary furniture. 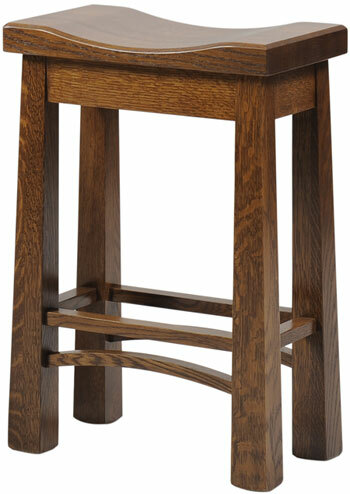 Upgrade your home with a set of Bradly barstools from AmishOutletStore.com. Your purchase may qualify for an exclusive discount that saves you up to 33 percent off retail pricing. Request a quote from our sales team today.